Anni Baobei: a flower in the dark. This is the nickname given to Anni Baobei by her”fans” for her novels of desolation and isolation. 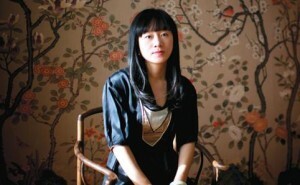 She is one of the most famous authors in modern China particularly among women and people under 35. “The Road of Others,” a collection of three newly-published (1) short stories is the translation of her first book “Goodbye Vivian” (2001). This short story, first published online secured her immediate fame.